Smartphone hardware has advanced so much over the past few years that it seems to have reached a plateau. Samsung's Galaxy phones and their competitors have hit the sweet spot combination of screen size, thickness and power that appears to please most phone buyers. But there is still some room for improvement. Battery life, for example, could always be better. And I don't know any Android users who don't grumble about the hassle of swapping batteries or the inconvenience of plugging in a separate booster pack. Phone makers have talked about producing a modular phone that would let users customize their handsets, but so far we haven't seen anything that would make us replace our Galaxy phone. 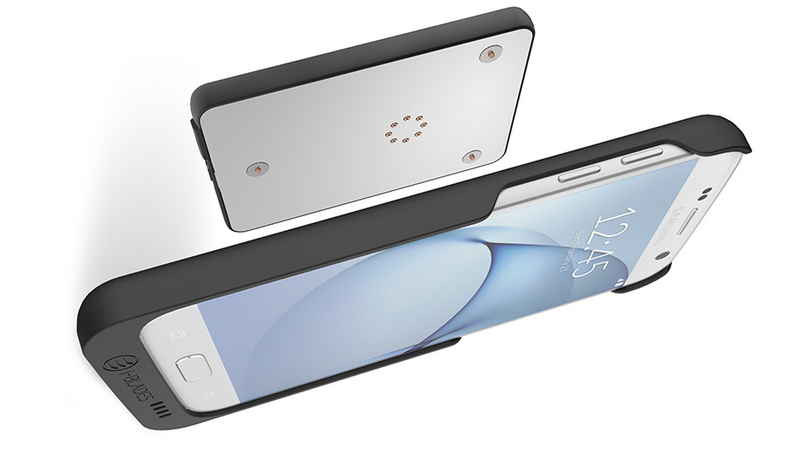 But the people at i-BLADES have a new idea that lets Galaxy owners customize their current phones with a modular phone case. The i-BLADES approach attacks the battery issue with a set of battery packs that easily snap into place on the back of the case. The packs can be charged separately or while they are connected to the case and the phone. They don't require a cable to connect to the phone and you don't have to remove the phone from its protective case or pry open the back panel of the phone as you would to change the internal battery. i-BLADES plans to use the modular approach to provide additional features. It already makes a module that turns the S7 into a VR headset. And it has modules that let users add memory to their S7 or S6 with a microSD card. For a closer look at their cases for Galaxy S7 and S6 phones, visit the i-BLADES website.